KATHMANDU, June 29: Qatar Airways has started non-stop flight between Doha and Málaga of Spain from June 13. 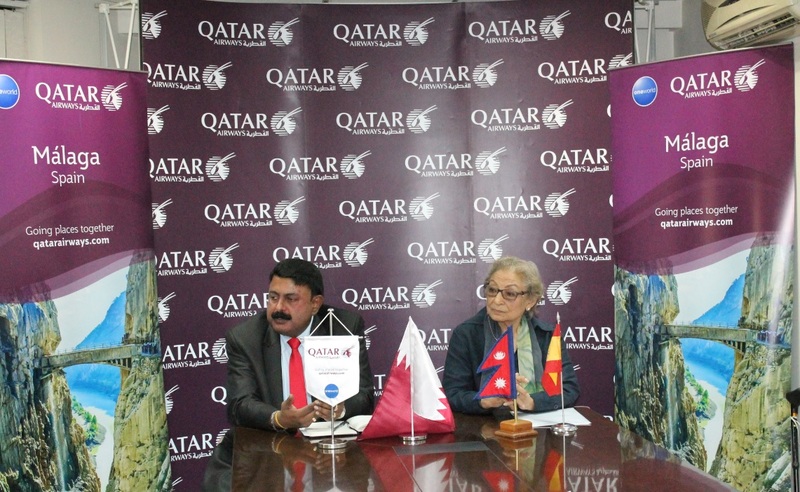 Qatar Airways Nepal hosted a media interaction session with the Honorary Consul of Spain Mrs. Ambica Shrestha, and Country Manager-Mr Jayaprakash Nair. Qatar Airways said that the first to Málaga touched down on 13 June at Málaga-Costa del Sol Airport, where it was welcomed by a celebratory water cannon salute.